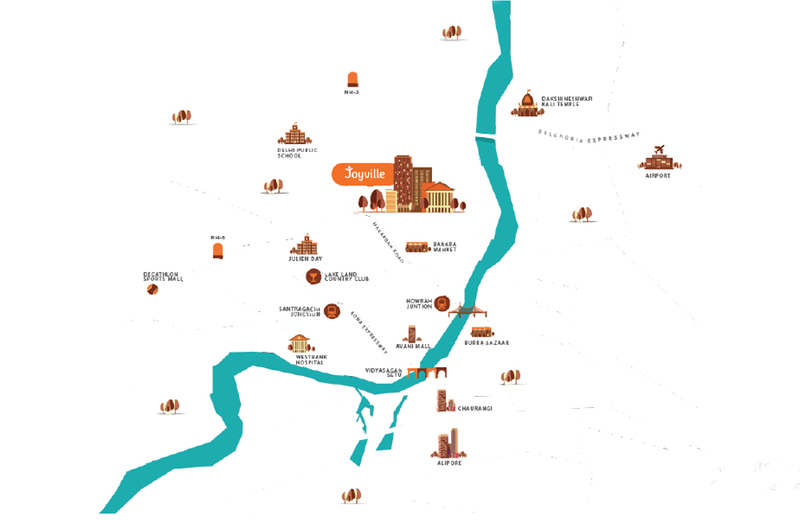 Shapoorji Pallonji Joyville : An affordable inception of a residential segment in Kolkata! 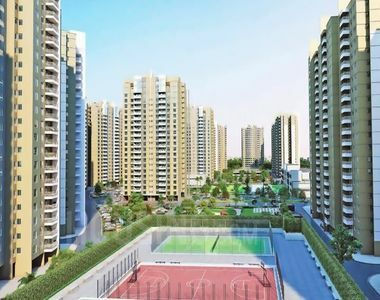 Shapoorji Pallonji Joyville is getting introduced as an extravagant residential project in Howrah, Kolkata by the reputed business house, the Shapoorji Pallonji Group. The real estate wing of this business conglomerate, the Shapoorji Pallonji & Co Ltd, has already created a trustworthy platform for innovative residential developments in western and eastern parts of India. This real estate conglomeration has been in the real estate industry since the time of numerous benchmarked business giants of India. Kolkata is the city of colorful cultures; this city has been a well-known destination for people who have an interest in Indian ancient mythology. In the real time, this place is getting modernized with unorthodox real estate developments sprawling in divergent clusters of the city. There are a key numbers of touchstone developers implementing to grow and develop real estate and infrastructure in the real time. 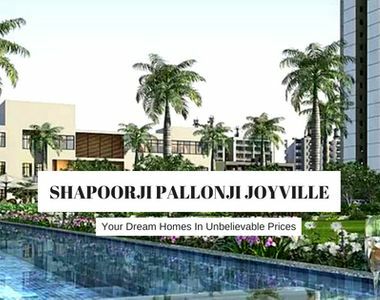 Set within a plot area of 30 acres of land mass, Shapoorji Pallonji Joyville Kolkata is an enormous township of 3400 residential spaces getting structured in the current time span. Joyville is an assimilation of 1, 1.5, 2 and 2.5 BHK segments of abodes merged with a key number of specific features and facilities for a great living experience. Here in this development, you will enjoy premium amenities and key features like 5 acres of green space, around 80 percent of open space, clubhouse, outdoor sports, retail space of 25000 sq. ft., meditation center, indoor sports facility, kids play area, swimming pool, gym, cafeteria, landscape garden/park, open space, 24-hour power backup, rainwater harvesting, amphitheatre, multipurpose hall, ATM, and 24X7 security. Public transport systems like bus services are encircled around this wonderful township by Shapoorji Pallonji. Apartments in this residential undertaking are getting crafted in the sizes starting from 605 sq. ft. to 1291 sq. ft.
Talking about connectivity, this residential undertaking is well connected to Kona Expressway, Andul Road, Grand Trunk Road, AH- 45 and furthermore road passages to commute in divergent directions. The project is smoothly served by countless road transports and other means of advanced transport systems in the real time. As far as some key destinations are concerned, Kolkata Airport is 30 mins, National Highway 6 - 02 mins, and Howrah Station - 15 mins away from this development. Joyville seems an affordable housing community of the real time. Grab your desired abode through the comfortable Shapoorji Pallonji Joyville price and available payment plans. 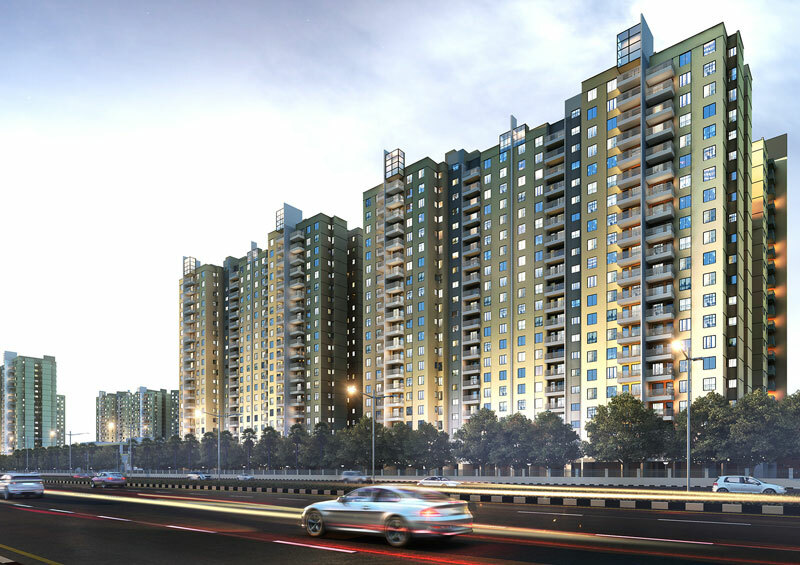 Apartments in this development are quoted at the price starting from Rs 19.66 lakhs to Rs 41.95 lakhs. Joyville can be your spot of desires in the real time!